Realme has today launched the Realme 2 Pro (starting at Rs. 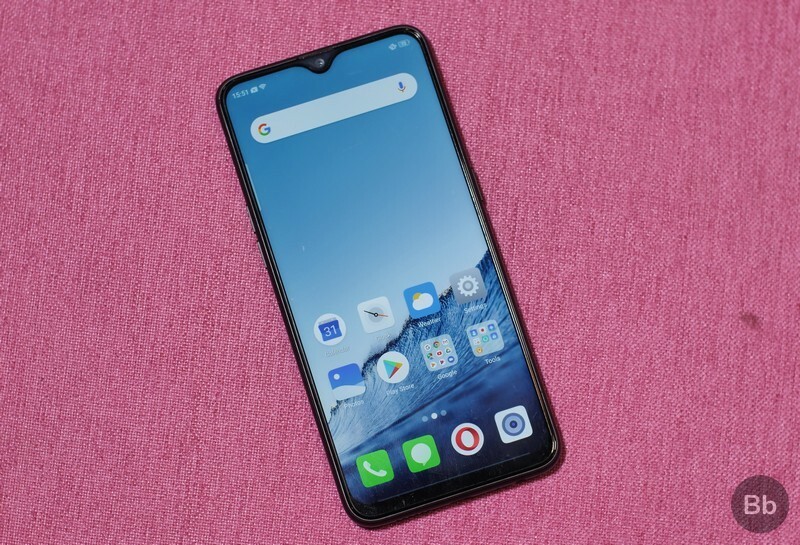 13,990), a beefed up version of the Realme 2 which introduces a ton of upgrades such as a better camera set-up, a much faster processor, more RAM and storage, a higher resolution display and an overall more appealing design. But before we go into a detailed review and compare it with other smartphones in the same price bracket, let’s have look at important details such as its key specs, pricing, and availability in India. The Realme 2 packs a 6.3-inch FullHD+ display and is powered by the octa-core Snapdragon 660 SoC, paired with up to 8GB of RAM and 128GB of internal storage. In the imaging department, the device packs a 16MP dual rear camera set-up and a 16MP front-facing camera, while ColorOS 5.2 based on Android 8.1 Oreo handles things on the software side. Hardware aside, the Realme 2 Pro comes with a host of notable features such as a Game Space mode, which is powered by a Game Engine to boost performance by optimizing the system resources and restricting the network access of the background apps for an uninterrupted gaming experience. Moreover, features such as AI Beauty 2.0, multi-frame noise reduction, smart exposure, AI scene recognition, AR stickers and 4K video recording are among the features which present the Realme 2 Pro as a noteworthy smartphone when it comes to imaging capabilities. Smart driving, Smart Scan, a native intelligent storage management functionality and a fast face unlock are also on the table. The Realme 2 Pro comes in three variants which differ in the amount of RAM and internal storage they come equipped with. The base variant with 4GB of RAM and 64GB of internal storage is priced at Rs. 13,990, while the mid-tier version with 6GB of RAM and 64GB of storage carries a price tag of Rs. 15,990. The Realme 2 Pro’s top-end model which packs 8GB of RAM paired with 128GB of internal storage will be available at Rs. 17,990. The Realme 2 Pro is a Flipkart-exclusive smartphone and will be available starting October 11.